Insadong is a place for you to experience the traditional Korean culture in the heart of the city Seoul. 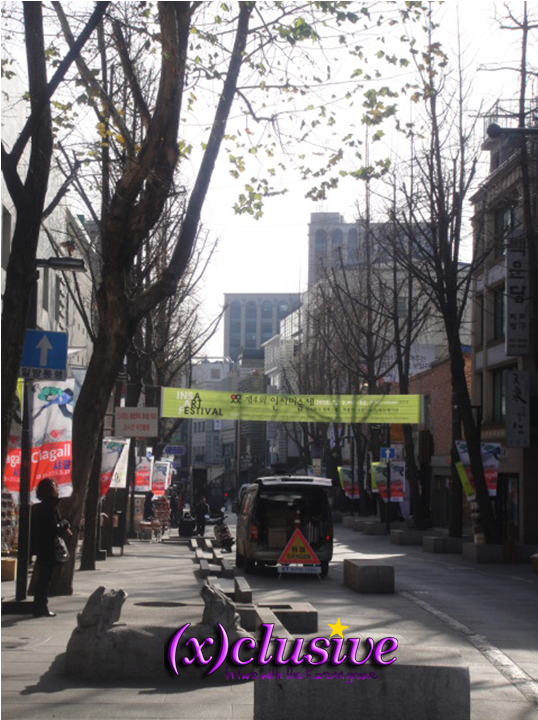 Insa-dong Street stretches over 700 meters between the Anguk-dong Rotary and Tapgol Park (Jongno 2-ga). Aligned along the streets of Insadong are art galleries, traditional craft stores, tea houses and restaurants. I had lunch at one of the traditional restaurants – Kyungho Kalbi which is the first restaurant on the left when you enter Insadong street. 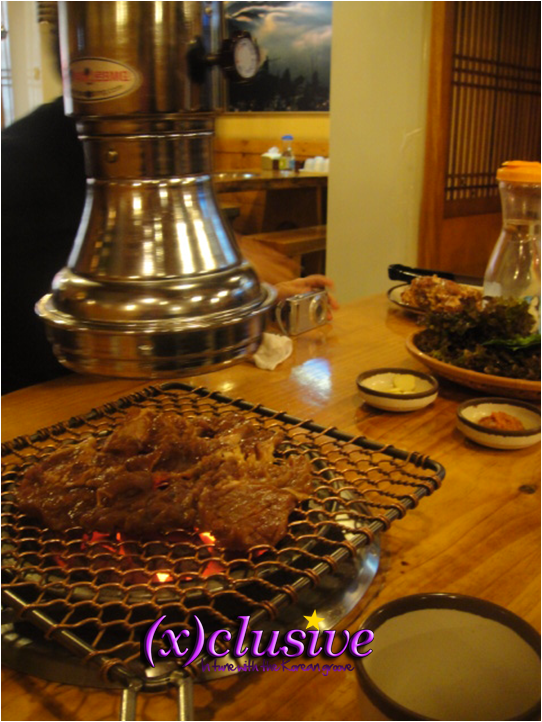 Kyungho Kalbi has various Korean dishes for you to choose from. We had Kalbi (Korean BBQ ribs) and Ginseng Chicken soup for lunch. After lunch, the group walked along the streets of Insadong, taking in the sights and sound of the street. One thing to note is that, store signs in Insadong are all written in Hangul even the famous Starbucks sign. – From Exit No. 3 of Jonggak Subway Station (Seoul Subway Line 1), walk 3 minutes. – From Exit No. 6 of Anguk Subway Station (Seoul Subway Line 3), walk 1 minute.